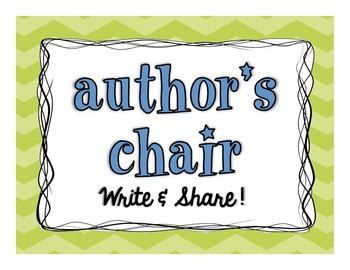 This sign can be used along with my Author's Chair Sign-Up Sheet. 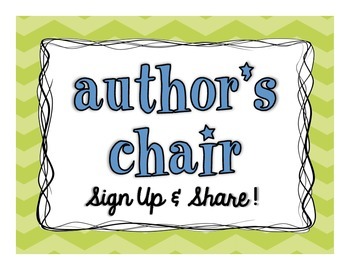 One version says, "Author's Chair ~ Write & Share" and the second version says, "Author's Chair ~ Sign Up & Share." Choose the one that works best for your classroom!